Trekking not only offers the opportunity to be immersed in unspoiled nature but also an itinerary that forces travellers to overcome their own limitations. 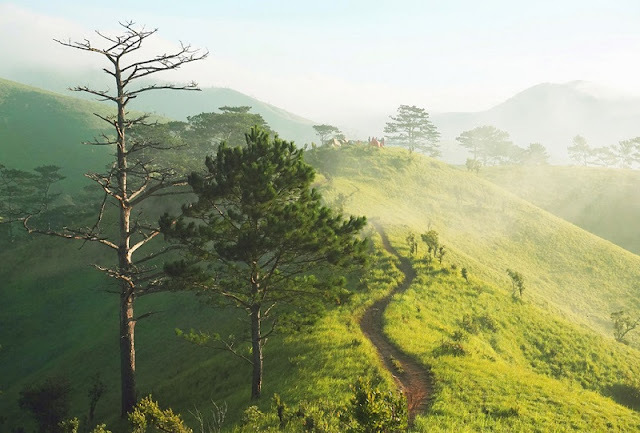 For those who are looking for an authentic adventure, these highest mountains, the adventurous road in Vietnam must be what you should put in your shortlist before flying to this country where the impressive mountain ranges are waiting for you to conquer. Conquer the challenges visiting the local villages and enjoying the beautiful scenery here is an experience you will never forget. Ta Lien Mountain trek (also known as Co Trau Mountain) belongs to Ta Leng Commune, Tam Duong District, Lai Chau District. The mountain has an altitude of 2,993 meters above sea level, with majestic mountain scenery along with pristine forest vegetation. To climb Ta Lien peak, you need 3 days 2 nights. The first day of the first day of climbing, the road is completely the way that people go to the forest. You can spend the night at the cave where people go to jungle or climb because there are almost no camps on the road. You need to find a flat, near water source before dark. On the first 3-4 hours climbing just enough to reach 1,900 m. On the second day, climb to a peak of 2.993 m. Peak before 14h to be able to return to the point of departure before dark. Day 3, down the mountain, noon to the edge of the forest. Move back to Sa Pa before dark. 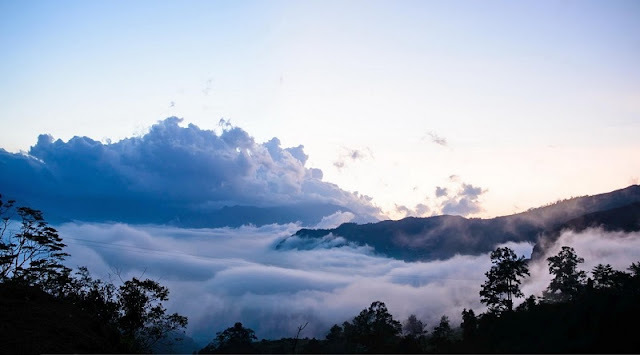 Barefoot Mountain is known as the roof of Y Ty, Lao Cai. 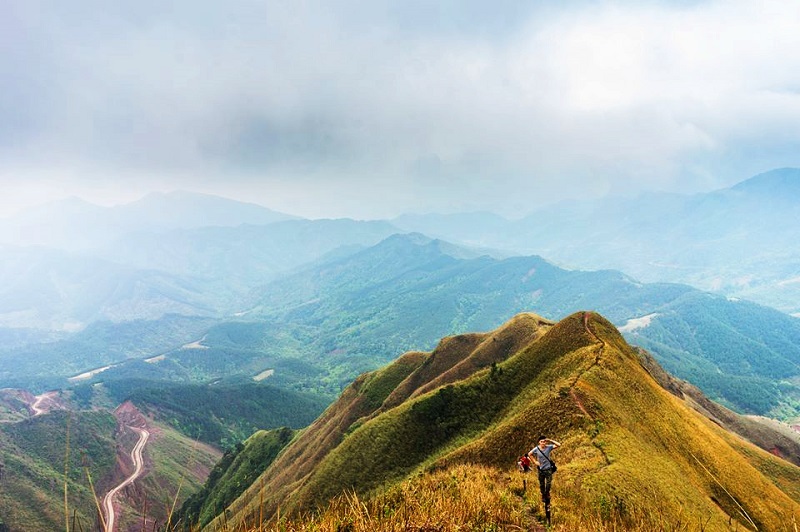 This is a new trekking tourist spot in Lao Cai that is discovered by professional pioneers. The goddess was dubbed as the earliest sunrise and the earliest one to sleep in Yitzchik. If you want to trek this place, try to climb the summit in the morning, because time to peak to about 6 hours. This is a pristine place, so you have to prepare your belongings, from sleeping bags, tents, cooking utensils, and water. Mount Lung Cung is named after a village located in the harshest mountain in Nam Co commune, Mu Cang Chai district, Yen Bai. Leo Lung Cho takes about 2 days and a night in the woods to reach the top and down the mountain. You can climb from 3 different directions are Thao Chua Chai, Lung Cung or Tuan San. The journey will go through primeval forest with beautiful scenery, you will encounter the unique vegetation or maple leaf. Besides the sea, beautiful island, Quang Ninh also owns many beautiful mountains. Binh Lieu is a favorite place to explore new streets. Binh Lieu is more than 100 km northeast of Ha Long City, a mountainous district near the border. Fansipan is the highest peak in Vietnam and Indochina, and is considered by many as the target of the trip. At an altitude of 3,143 m, you can conquer the mountain by three different paths. The easiest route is from the station to the summit and back in the same way. Duration of the trip lasts 2-3 days. The second way lasts about 4 days with 19.5 km long, starting from the “back belt” Hoang Lien. 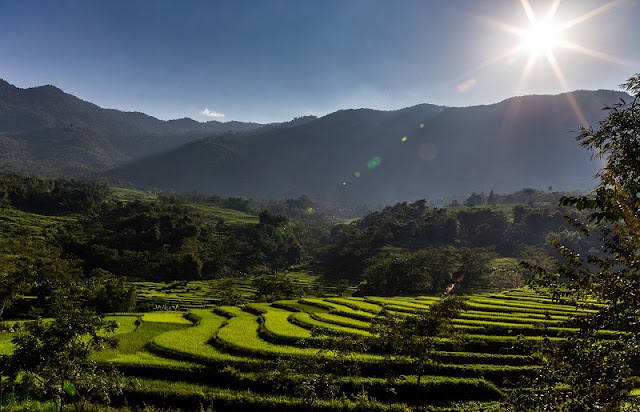 Also comes from Tram Ton, but back to Muong Hoa valley, Cat Cat stream and along the eastern side of the Hoang Lien mountain range. The third road is more difficult as it originates from Doc Mit, Binh Lu to the summit. This is a very dangerous journey and only professional mountaineers with full equipment dare to go. Pu Luong National Park is a nature reserve located northwest of Thanh Hoa province. The area is in Quan Hoa and Ba Thuoc districts. Pu Luong peak 1,700 m high is the trekking points are many young people love. With 5 hours to conquer your goal, you will have an unforgettable experience.